This now unjustly forgotten little film is thoroughly entertaining and wonderful to watch and definitely deserves to be restored properly and released on DVD. 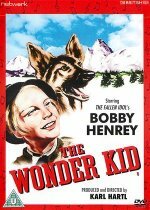 Apart from the truly picturesque scenery, Bobby Henrey's performance as the cruelly exploited child prodigy who moves from misery to happiness is just wonderful. Highly recommended.